After two unsuccessful attempts to camp out for the night in February, March had rolled around sooner than expected. After juggling the diary, work and rugby watching commitments for the month I found a window of opportunity and began to form a plan to get away for the night and fuel my hunger for adventure. The original plan was simple. I was working for the day in South Wicklow and had to drive back to the city at the end of the day, so with nothing planned for the following morning it made sense to make the most of my time and stay over on the way back. 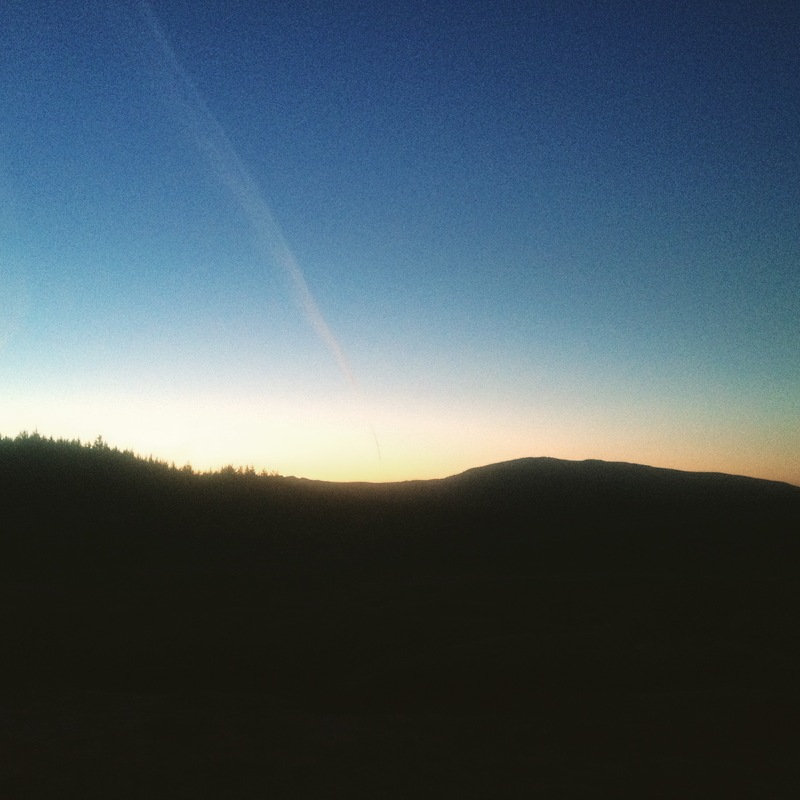 In my previous post for January I had stayed at a mountain shelter on the side of the Wicklow Way which had proved to be an excellent venue and given me a safe option for the sort of weather you would expect at that time of year. 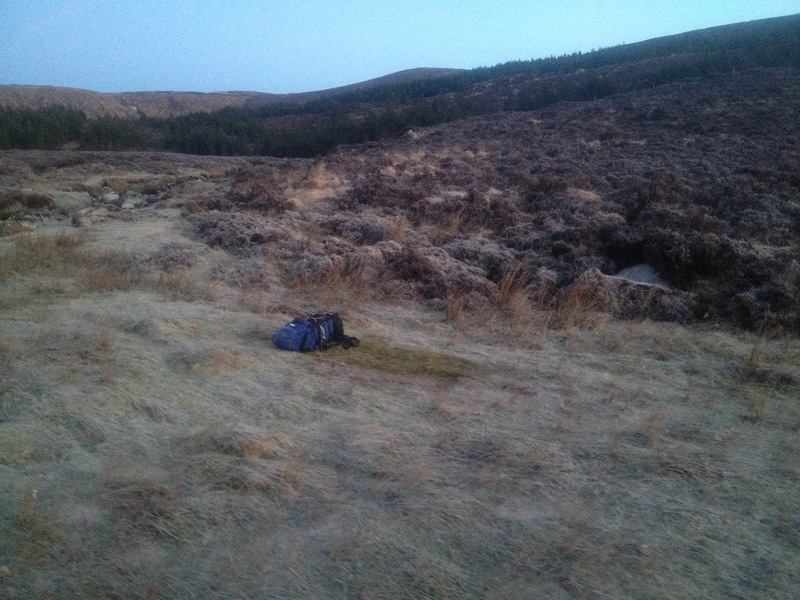 There is a second shelter further north on the Wicklow Way, not far from the village of Laragh, and this was my intended bed for the night. I awoke early on Saturday morning and was met immediately by streams of sunlight pouring in through the window with the sort of high pressure weather system we have not seen in some months here in Ireland. As I drove down through Wicklow I couldn’t help but think that maybe, just maybe the weather may hold and I may not need the shelter on this occasion. As the day went on I found myself working in a t-shirt with the sun on my back and not a cloud in the sky. 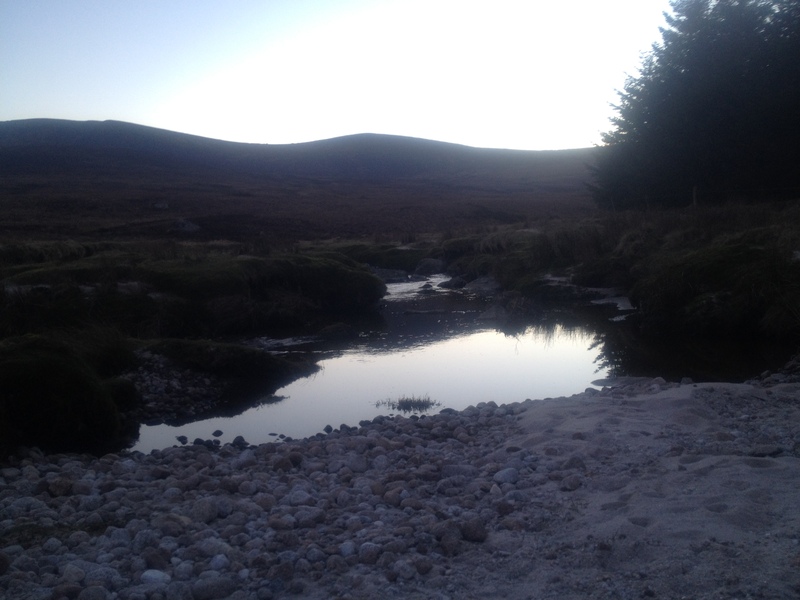 At one point I even found myself contemplating a swim in a river on the way to my bivi. This was quickly consigned to the overly optimistic list of ideas, however all thoughts of needing to stay in a shelter were abandoned. Five o’clock rolled around quickly and soon enough I was finished with work and in the car on the way to my new location. After chatting with some friends I had decided to follow their recommendation of walking a few miles to the head of a valley not too far from the Sally Gap, in the Wicklow Mountains National Park, where I had been promised I would find a nice combination of boulders, a river and a remoteness that should provide all I was looking for in a venue. A short drive later I had found the spot I needed to be in and headed off full of excitement and anticipation for the night ahead. I quickly picked up the track and followed it past a small pine forest and down to the river. 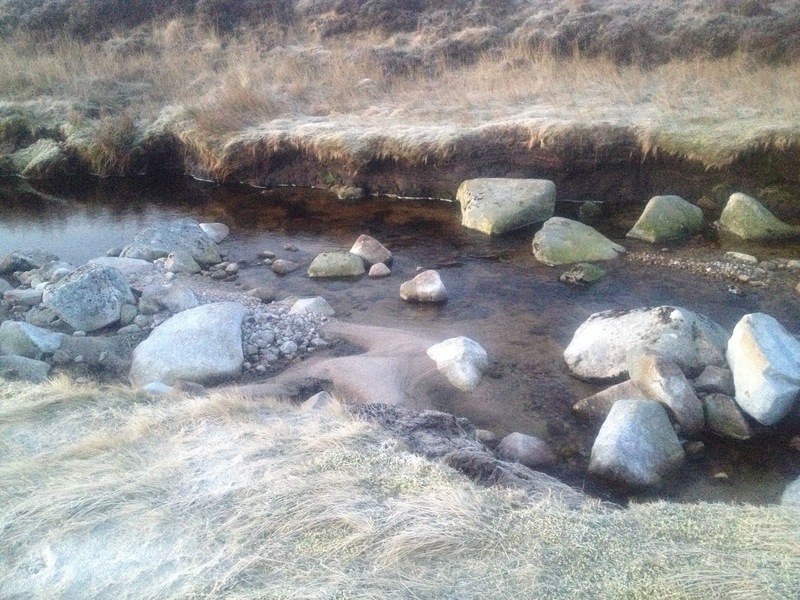 All I now had to do was follow the river up-stream until I found a suitable site for my bivi, got bored with walking or ran out of daylight. The views of the valley and the surrounding hills were spectacular and I was already glad I had opted for the more authentic bivi rather than the safety of the shelter. As I wandered along the side of the river I found sandy bays, bubbling rapids and even surprised some deer who were near to the river. After around forty-five minutes walking it was passed sunset and I could tell I did not have much time left if I wanted to cook and set up camp in the daylight. Part of me was torn and wanted to continue to the head of the valley, the other part of me thought it was silly to keep passing up great bivi spots in the quest of finding the head of the valley where it would already be dark and there were no guarantee of a good spot. After a few minutes thought I turned around and headed a short distance back down stream to a soft looking patch of grass next to a small sandy bay without too much background noise from the river; my home for the night. My first port of call when arriving at a camp is to always get my bed out. I realised years ago when I was a child that it is all to easy to sling your bag down or into a tent and find yourself scrabbling around in the dark hours later when you are tired trying to find your sleeping mat and bag. It seemed slightly strange this time as I had no fixed point of reference apart from which part of grass looked the softest. After deciding upon a less sandy spot of grass I pulled out my stove and began to prepare a hearty meal of noodles and chorizo. This is where learning point number one came- don’t forget your spoon. Miles from anywhere I was now faced with the challenge of how to eat noodles with no utensils. After a few moments of thought I decided the best I could do with the resources available would be to add more water to create a noodle soup and I found I could use the lid of a water bottle as a basic spoon for the solid parts. Whilst I was quite proud of my resourcefulness I have to admit the noodles were cold by the end due to the slow process and care needed when scooping food into your mouth with a water bottle lid. Having overcome my culinary challenge I climbed into my sleeping bag and watched as the last of the sun disappeared over the hills and the stars began to make an appearance. I must have drifted off as I awoke around an hour later and became aware of a damp patch at the top of my sleeping mat, I quickly realised that dew had fallen and begun to freeze on the outside of my bag. Not a problem but I had not yet put away my boots and stove or properly weatherproofed my bivi for the night. Ten minutes of rushed packing and camp rearranging later I was back in my bag, warm, dry and with my camp all in order and weatherproofed for the night. I love camping and the low temperatures contrasted the warmth and safety I felt inside my bag as I looked out at the stars, igniting the childlike excitement within me and I soon dropped off to sleep, happy and satisfied with my evening. There is something special about seeing the sunrise. It is even better if you can do it while still tucked up in bed. I awoke to a combination of a strange noise and a singular drop of icey water that had fallen from the rim of my bivi bag. I soon realised that the sound was my alarm and that I had slept through the night in a most peaceful and refreshing sleep. As a sat up and started to dig out my alarm from my bag I noticed a rustling cracking noise that seemed unfamiliar. As my eyes cleared and my senses returned it became clear that the temperature must have dropped further during the night as I was surrounded by a thick white frost and had a healthy layer of frost and ice covered my bivi bag and rucksack. I was both pleased and surprised that I had slept so well in what must have been my coldest bivi to date and was thankful for a good quality sleeping bag and glad I had invested in a bivi-bag with a good hood. Given the temperature and the fact the sun was now up I decided it wasn’t the morning to linger and make coffee on the stove. Within ten minutes I was up and my camp was packed away. All that was left was to take a few photos of the sunrise and to disappear back down the valley leaving nothing apart from a large rectangle of unfrozen ground in the blanket of morning frost.